Brock has a bad temper. His older sister, Brenda, is known as the kindness queen. 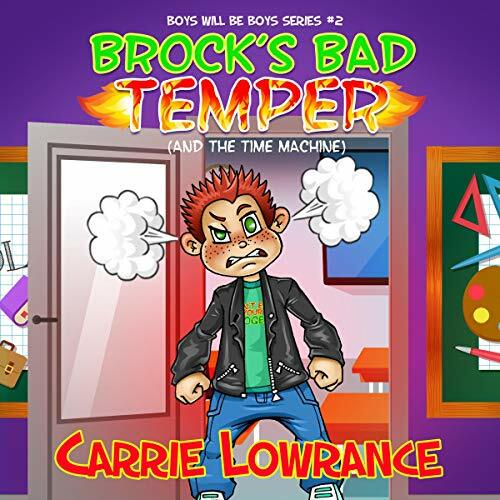 She warns Brock that if this temper keeps up, he will be taking a trip in the bad temper time machine. Brock thinks she's crazy, but it does pique his interest a little. Brenda tells him that she used to have a bad temper too. But that all changed after just one trip in the bad temper time machine. One night she was putting her pajamas on in her closet and the next thing she knew, she was in another time period. She was also getting ready to receive an old-school punishment. Brock doesn't believe her and says it could never happen to him. Later that night, to his disbelief, he does get transported back in time in the time machine. Will his experiences show him that having a bad temper is not a good thing? Will he realize that the modern day consequences to his actions are not that bad? Follow Brock as he gets in trouble, goes back in time, and finally learns to get his temper under control.